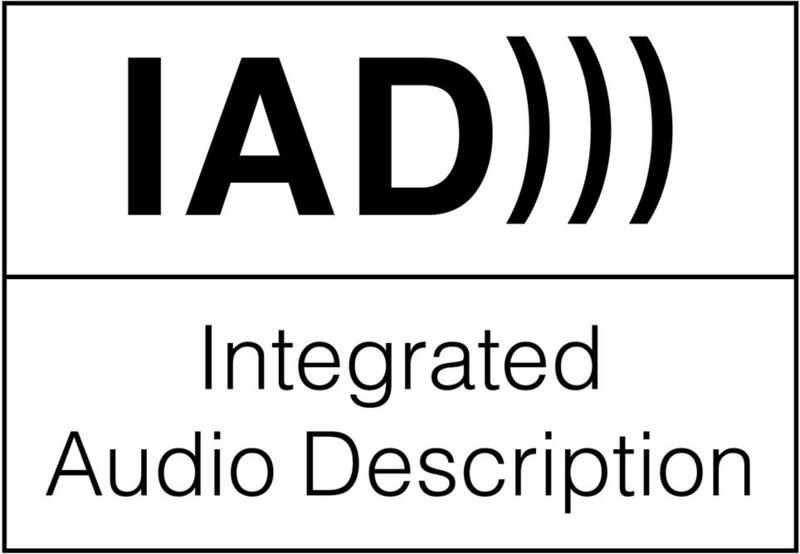 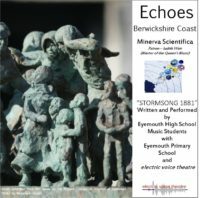 “Echoes – Berwickshire Coast” centred around the recording of a CD – “Stormsong 1881” – several performances and the creation of an exhibition at St Abbs Visitor Centre. 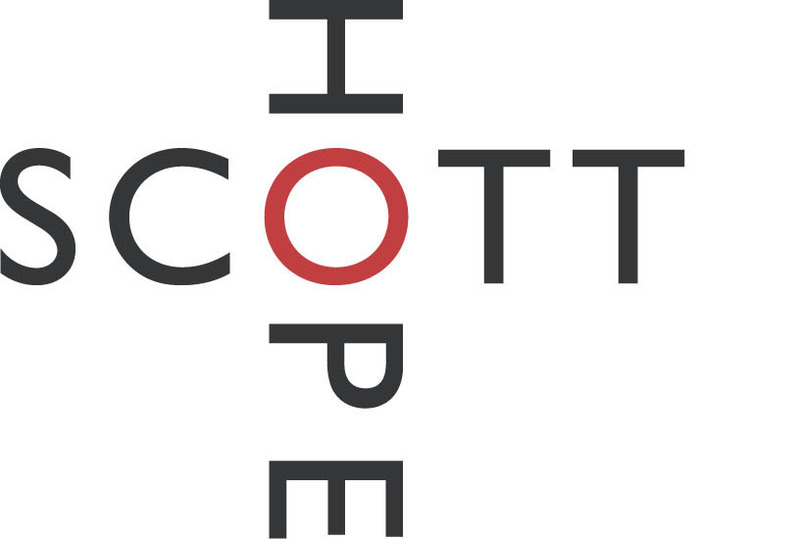 On the 14th of October 1881, a terrifying storm suddenly smashed into the Berwickshire Coast in the South East of Scotland, taking the lives of 189 fishermen, creating 107 widows and hundreds of orphans. 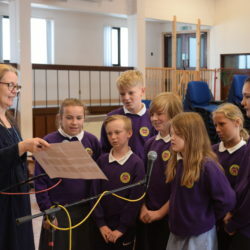 “Stormsong 1881” is a meteorological suite of music for voices, brass, woodwind and guitar commemorating the disaster, based on the estimated three-hourly weather observations for Eyemouth provided by meteorologist Marjory Roy. 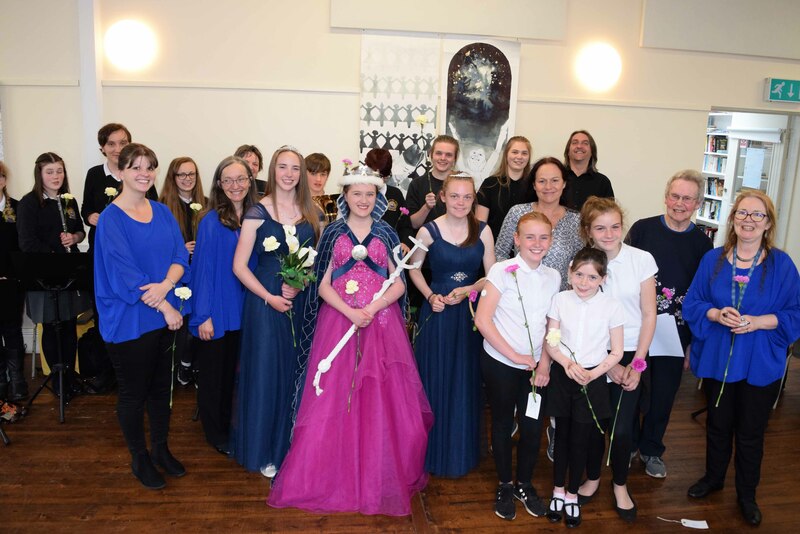 It was written by 11 Eyemouth High School N5 and Higher Students, and recorded by 35 students and staff from Eyemouth High School, 82 children from Eyemouth Primary School and electric voice theatre. 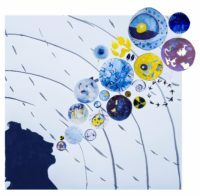 A group of meteorological composers! 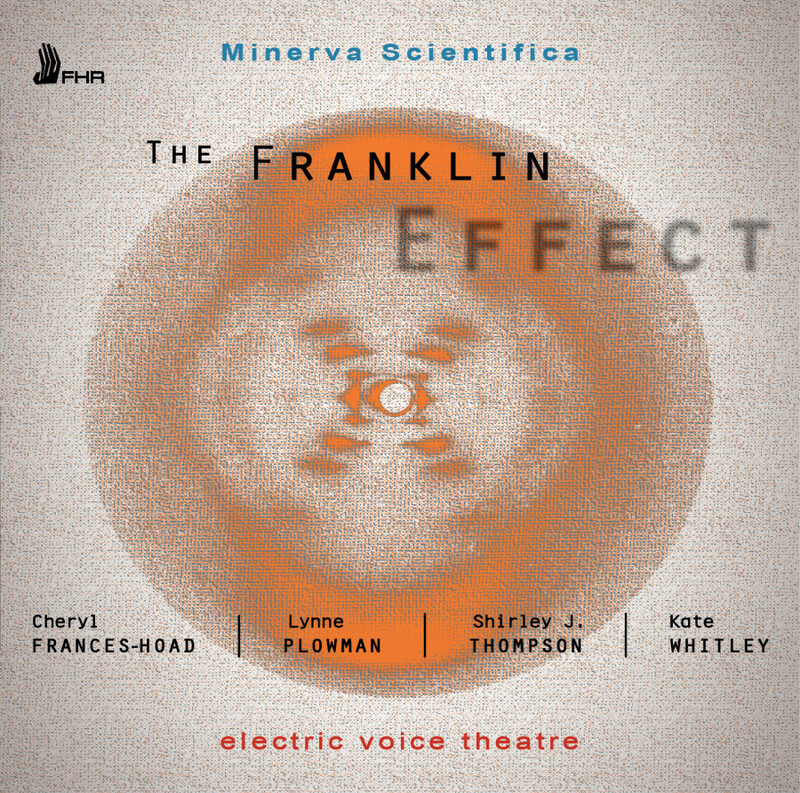 Herbie Clarke – Sound Design, Guitar FUN!! 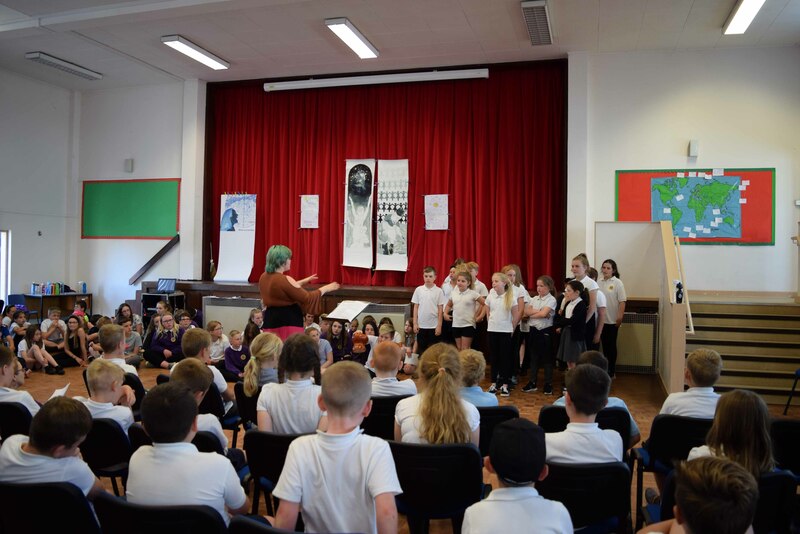 84 children from P6 & 7 performed for their parents and some of the children from the rest of the school. 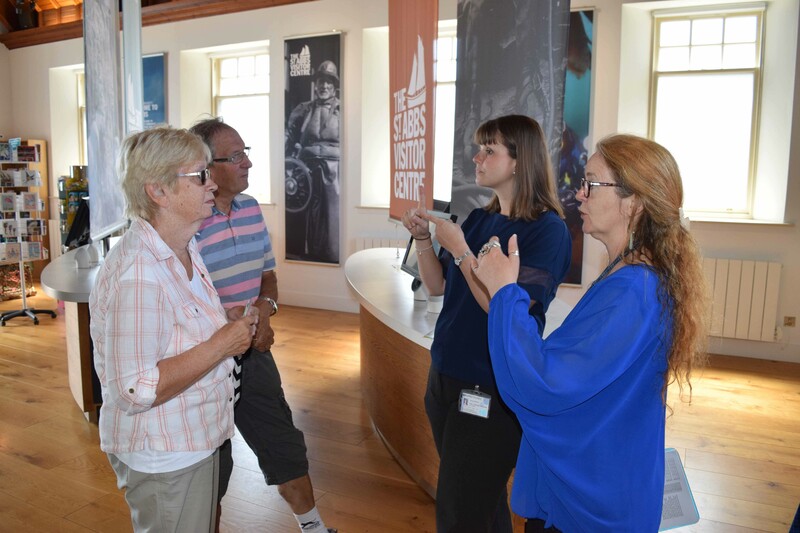 Meteorologist Marjory Roy, composer Frances M Lynch, BSL Interpreter Jenny Mercer, and sound designer Herbie Clarke, spent the day greeting visitors to the centre, showing them the exhibit film, discussing meteorology and encouraging them to buy the CD! 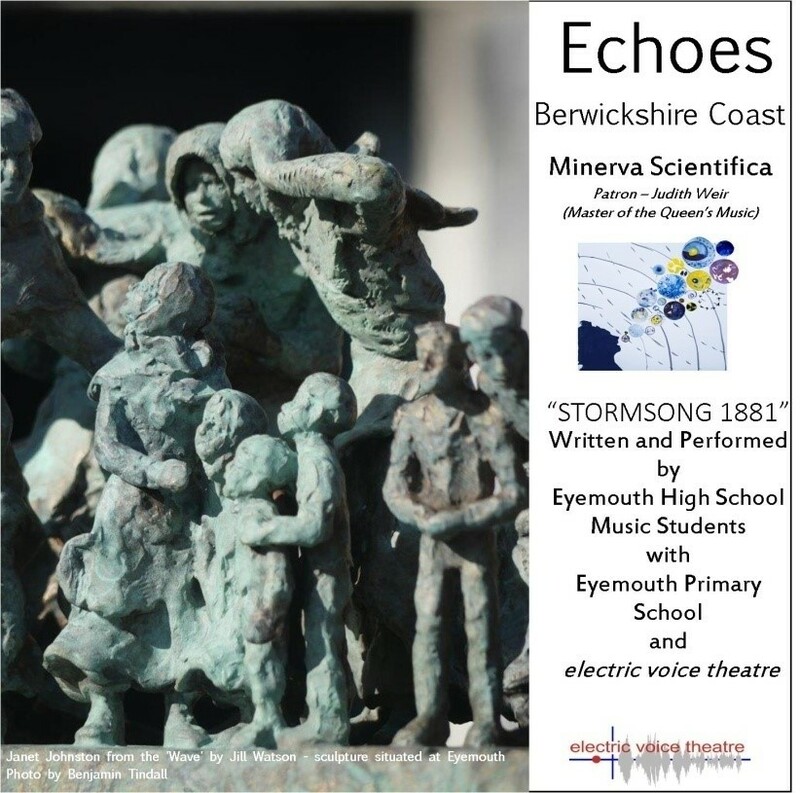 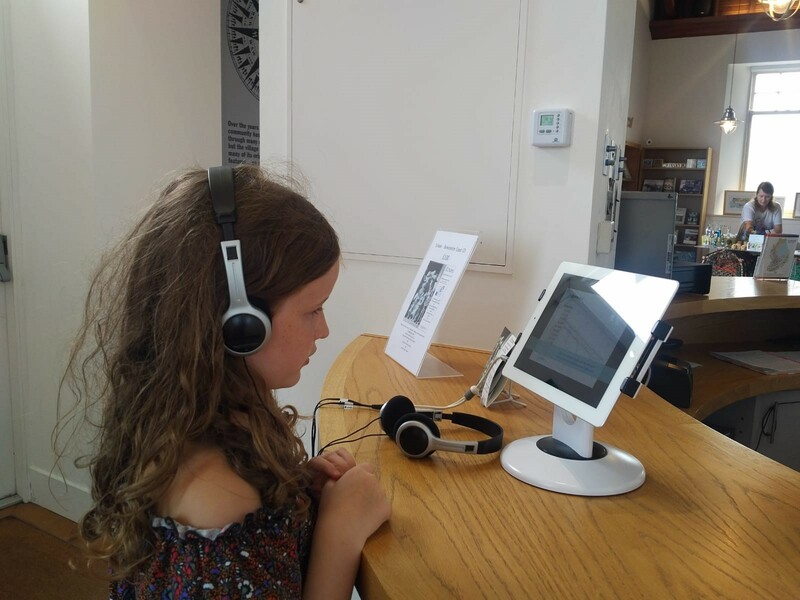 The Echoes – Minerva Scientifica Project is currently touring in Scotland. 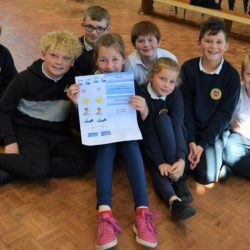 We have so far visited communities in Loch Tay, Isle of Coll, Strathpeffer and Caithness – and will continue with the tour into Kirkcaldy, Greenock and Aberdeen in 2019.